New EcoSteel Prefab project in New York, with custom trusses and clerestory windows. This all steel bolted frame construction is Approx 12,000SF. The building will incorporate a planted roof section, insulated wall and roof panels provide unmatched energy efficiency. Fire resistant steel frame and Fire Rated panels provide superior strength and resilience with combustible building operations. James joined River Architects to bring his building envelope knowledge and construction experience to the firm. Along with his strong technical skills, he brings sharp, creativity to the office and drives River Architects beyond the realm of architecture. Photos by: Catskills Brewery Facebook Post—Check out their latest events online! 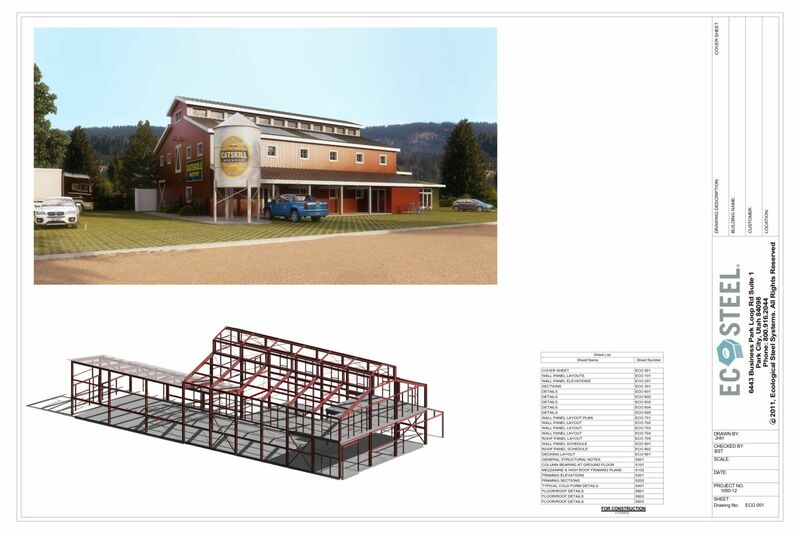 EcoSteel specializes in Commercial Brewery Construction, Prefab Brewery Design, Steel Framed Brewing Buildings, Steel Brewery Buildings, Architectural Brewery Plans.